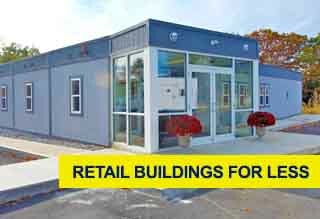 Modular buildings for retail, offices and educational use. 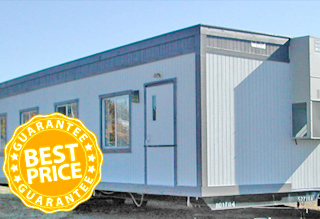 Get free price quotes now from the top manufacturers of modular buildings, offices, construction site trailers and modular classrooms. 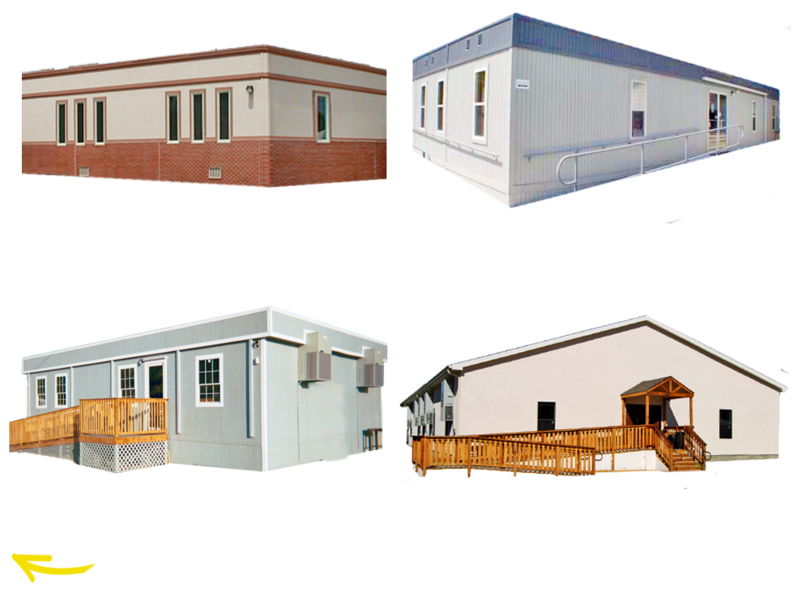 WHAT MODULAR BUILDING DESIGN FITS YOUR NEED? No matter what category of building you are looking for this most common type if you will have addition room designs and offices. This is the most common type that often combines open space with work space. Educational use buildings for camps or community learning centers should compare our classroom options. These designs are perfect for childcare or most any other kind of educational use from 10 to 100 kids. Any customer facing and serving building use should choose this category of design. Both food service related and non will find many designs that offer front and backend designs and details for retail. Any large or livable space should choose this category. This is an ideal commercial, agricultural and corporate solution to efficient housing. Buildings that cost half the price per square foot and go up in half the time. 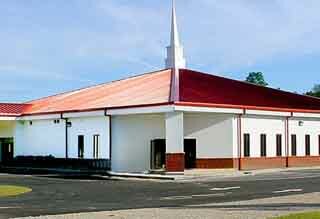 Modular churches are a way to build in less time for a lower cost. Generally open with seating only in most cases. If you will need open floor plan desks, additional rooms and and work stations check out our office or classroom options also. Whether you are building a church, daycare center, office space or retail modular building the cost of construction can often be more than 50% less that stadard construction. Expect anywhere from $25 to $125 sq ft depending on type. Prices vary greatly. NOT SURE OF YOUR MODULAR BUILDING LAYOUT YET? You can simply choose the OTHER option above and speak to our design and product experts for all the top manufacturers and find a layout that fits all your specific needs. This is ideal for multiuse buildings or facilities with more than one required work space. Save up to 30% off when you compare modular buildings and office prices from over 20 providers. 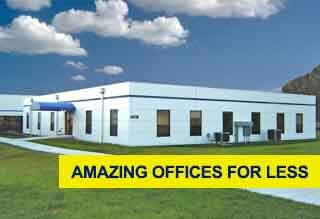 Modular office buildings are pre-fabricated and customizable structures that provide temporary or permanent solutions to meet the needs of any business. If your project requires a quick turnaround, modular buildings can be built in as much as half the time of conventionally-constructed buildings. This is because while the foundation is being laid at the construction site, construction of the modules happens simultaneously in a factory. The controlled factory means that construction on the modules continues regardless of weather. Weather delays can be quite common on conventional construction sites. 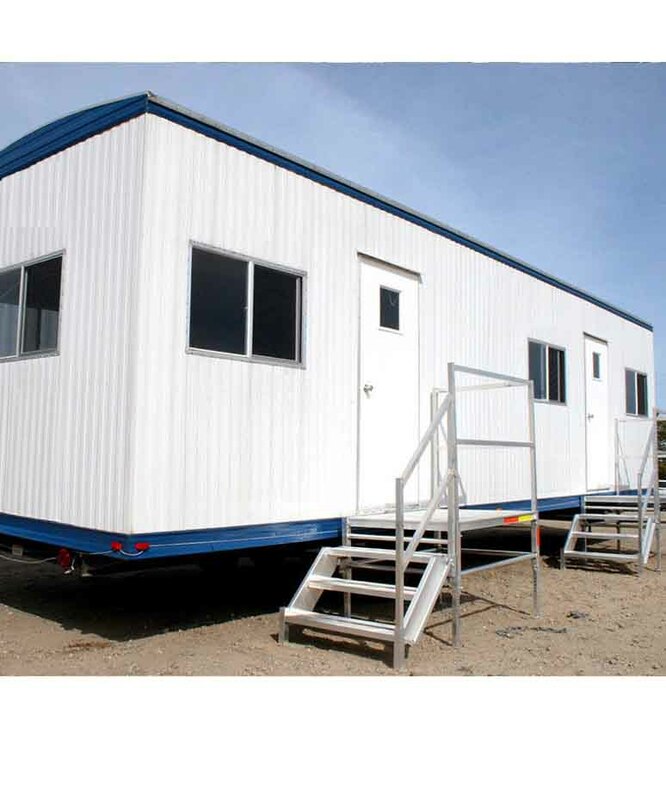 Some modular office buildings can be move-in ready in as little as 12 weeks. It all depends on the scope of the project. 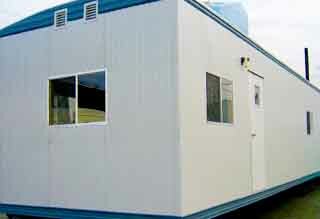 "The attraction of 50% less construction time brought our company looking for a modular building. First search we did we found Streamline and got all the pricing details and ended up going with a provider that saved us about 20% of our budget!." "Super pleased with the quote and final product we got through Streamline Office. Within 24 hours we had prices and options to consider and 72 hours later our project was under construction and in the design phase. Easy process and saved over $8000." "We needed to upgrade our ramps and steps to remain compliant and knew it would be a large expense. We got a wide range of prices from a single search on your website and the lowest price was almost a 40% savings." Safety Manager - Gala Events Inc.
* Price comparisons, time estimates and savings statements based on typical cost of construction for modular vs traditional construction process based on price per square foot. Savings is not guaranteed.